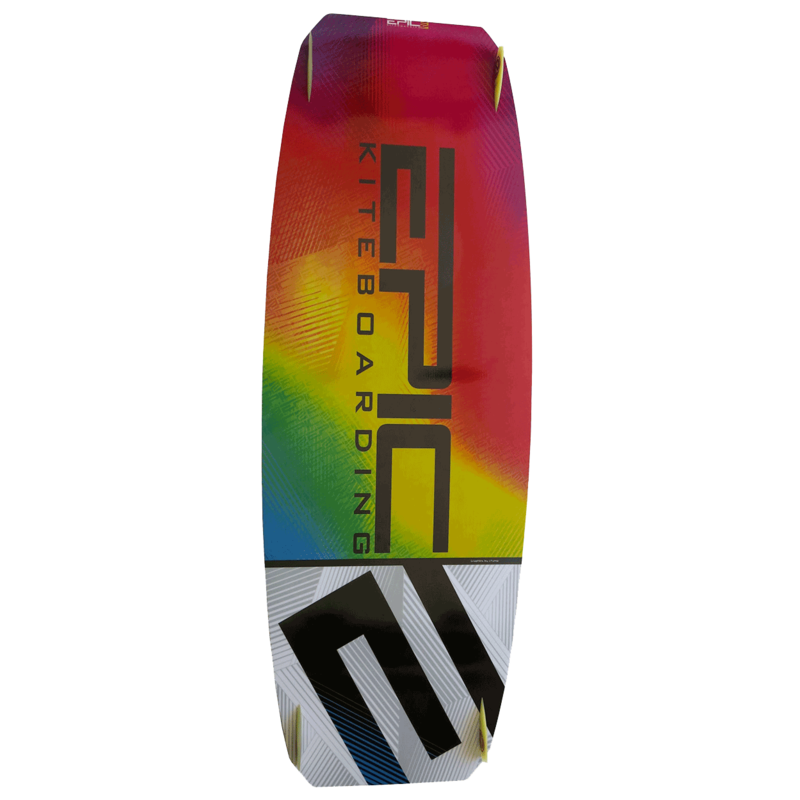 The Epic OXYGEN V2 twin tip was such a success that we decided to keep the same high performing shape and enhance the platform with construction details to bring you this incredible third generation. 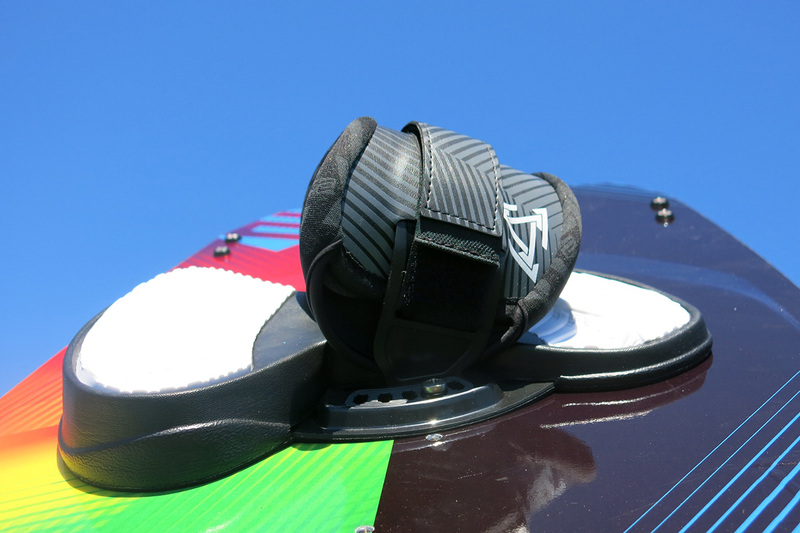 All too often people believe that a larger kite will have them enjoying light wind sessions. What they don't always realize is that by matching the right light wind board and kite for those conditions is key. 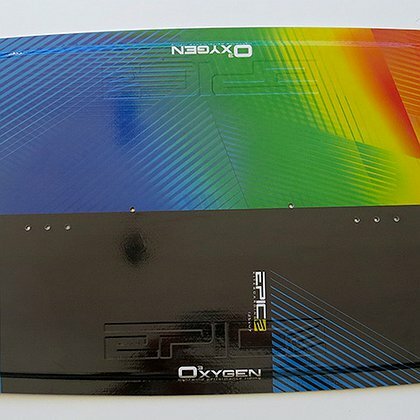 We designed the Oxygen as a way to offer a light wind solution on a board that also delivers on performance and feels like a board a size down. 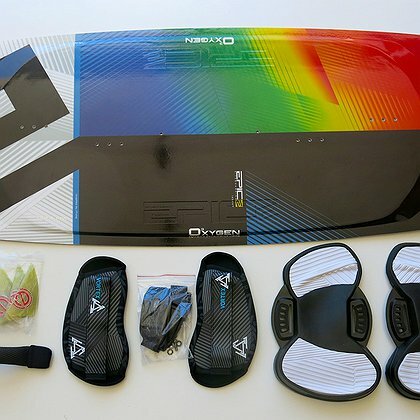 It is now possible to enjoy powered sessions in 8 knots! 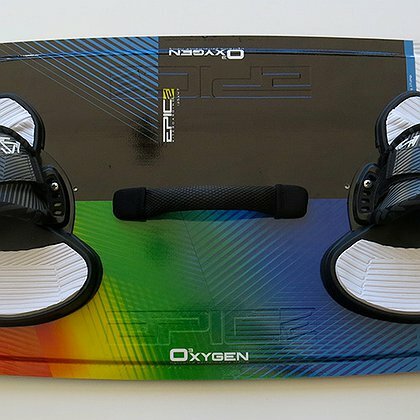 The Oxygen uses a flat rocker, wood core and flexible tips to provide a super comfortable, fun and lively ride that gets on plane quickly. 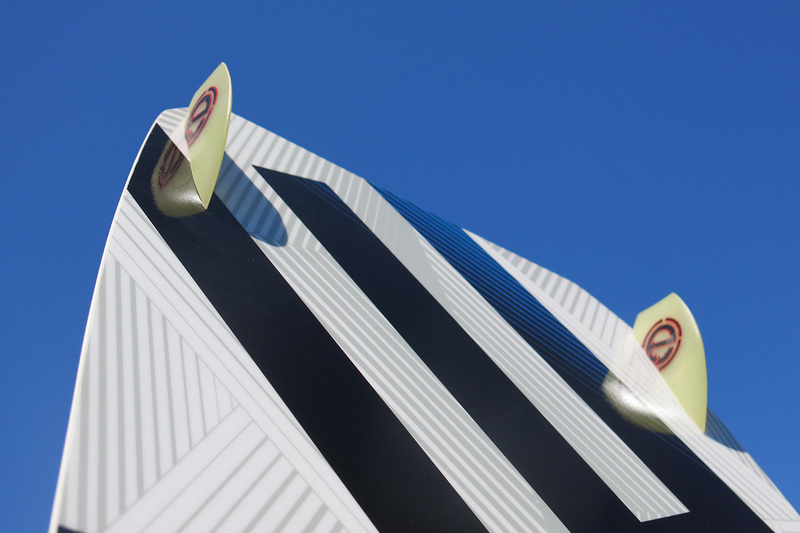 When the wind picks up, the Oxygen is adaptable and has a wide wind range. 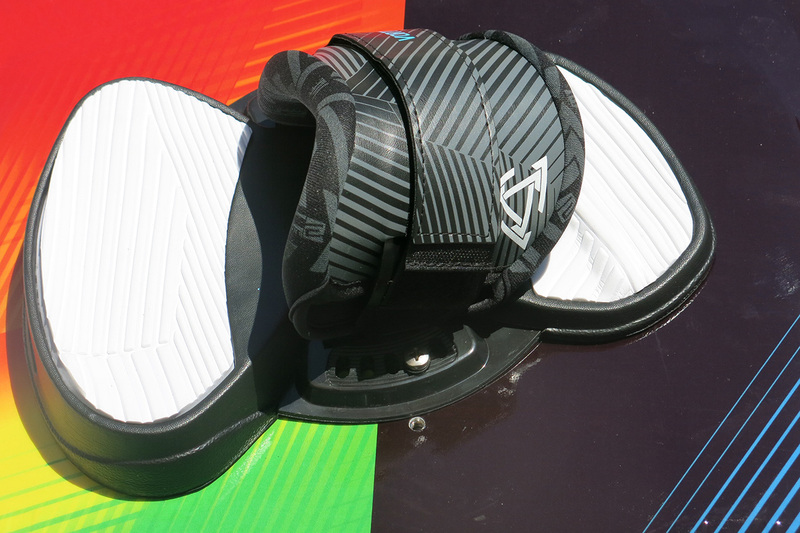 The Oxygen boasts predictable control, consistent edging and stable pop that will have you enjoying progression sessions rather than just riding back and forth. 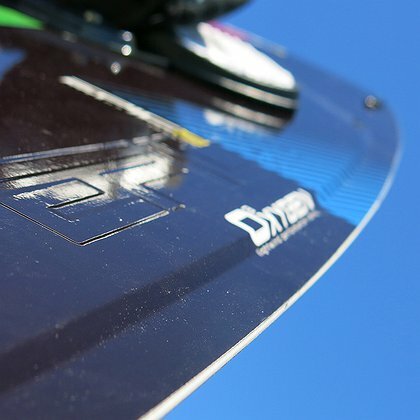 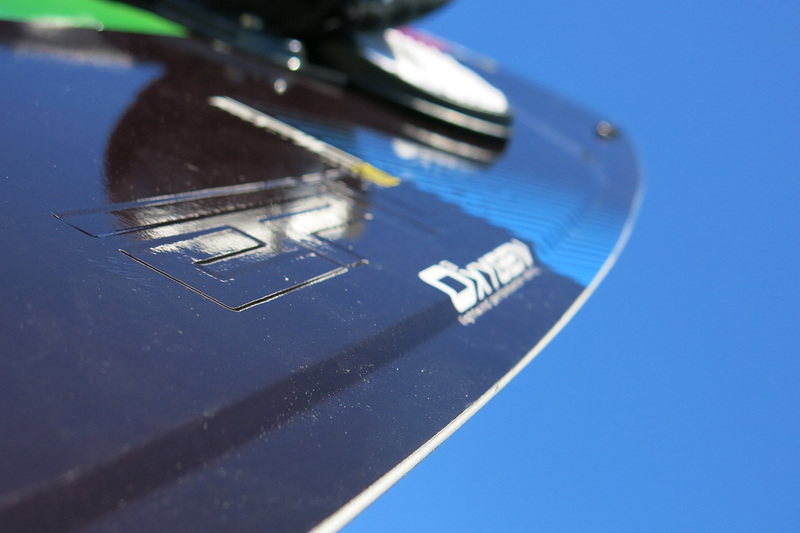 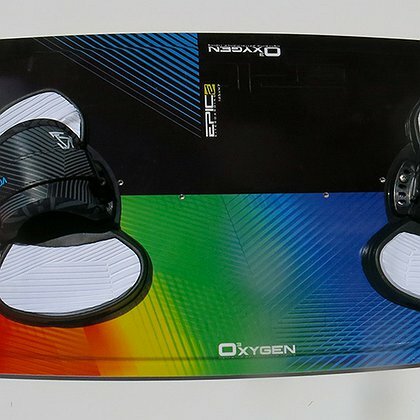 The Oxygen is made using Wood Core Tech and advanced glassing processes taken from the snowboard industry. 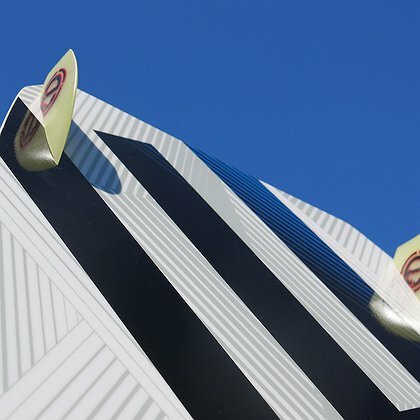 Combine the Oxygen with our light wind Infinity kite and you have a recipe for memorable freeride, wakestyle or boosting sessions. 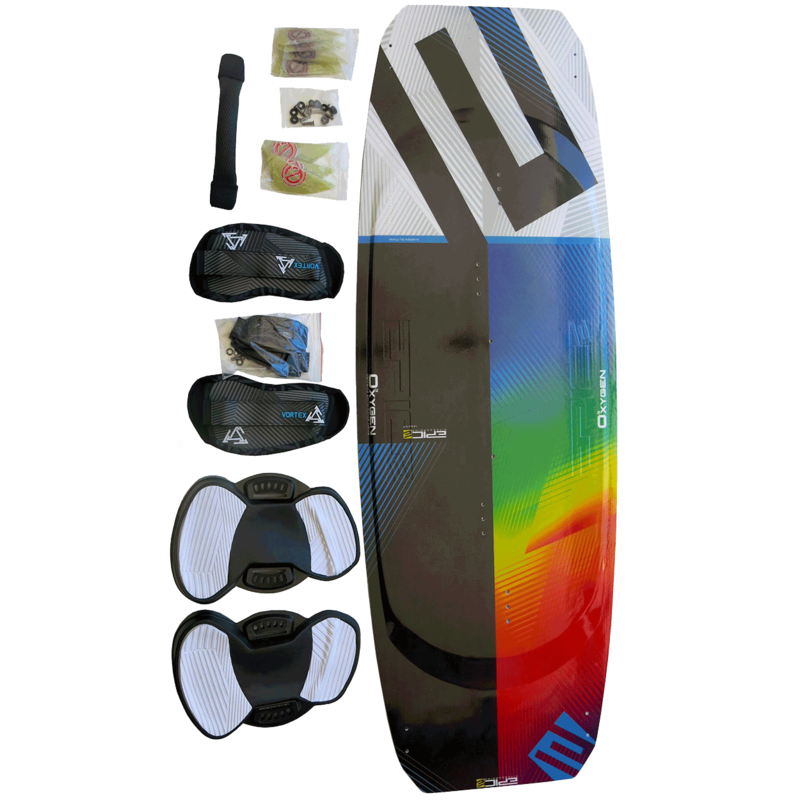 No more waiting on the beach for the wind to pick up... grab the Oxygen and enjoy light wind sessions with power and responsiveness. 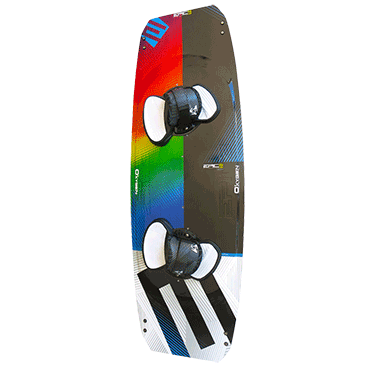 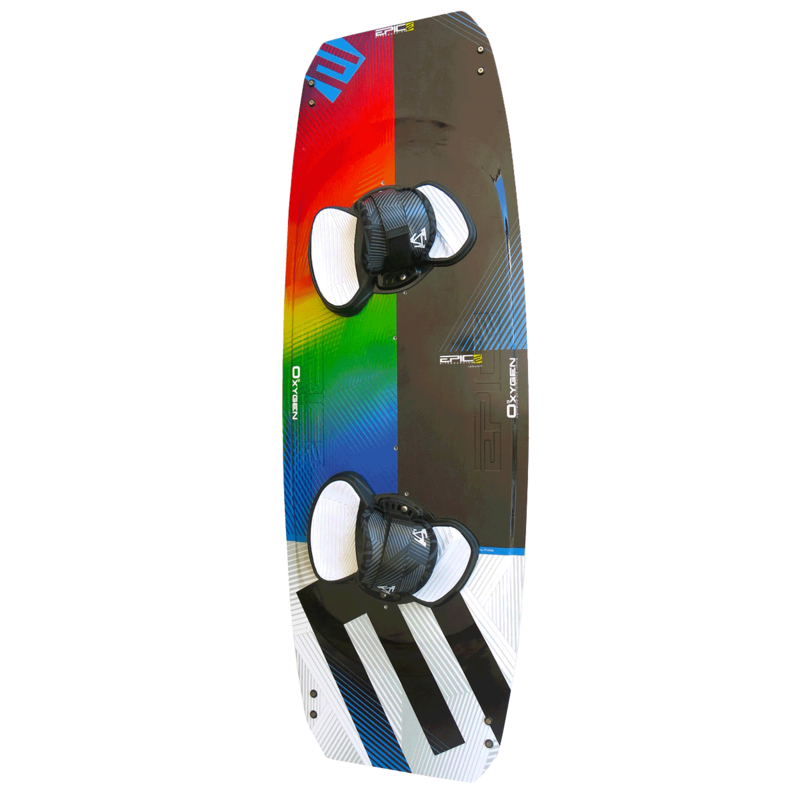 The Oxygen is one of the best light wind board in the market which is an ideal solution for beginner and advanced riders alike. 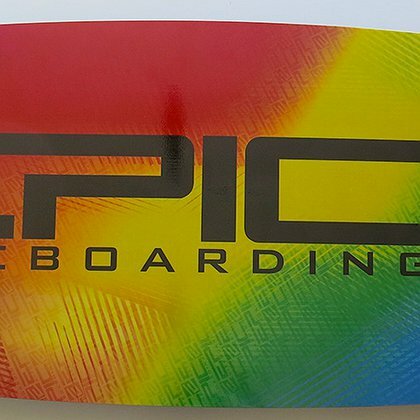 Kite schools and instructors love this board because of its ability to get on plane quickly, edge well and perform like a small board. 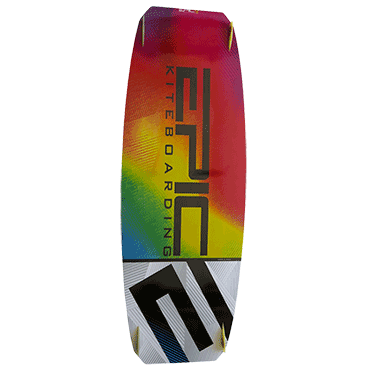 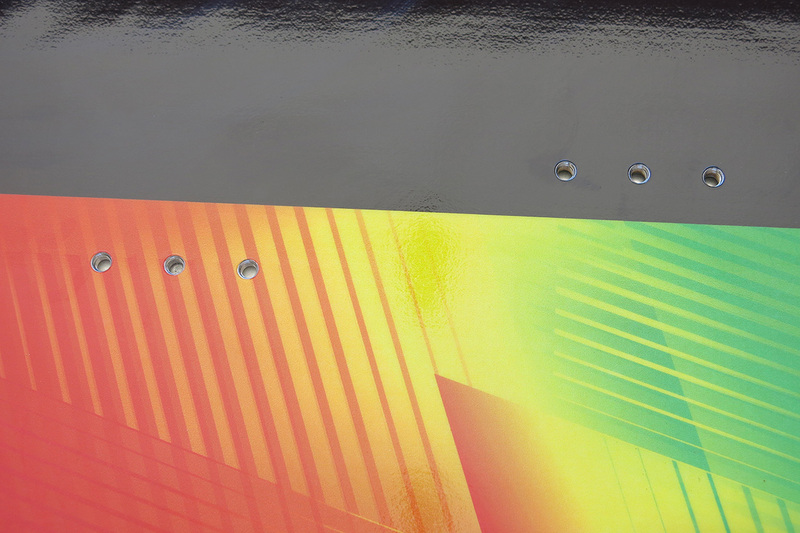 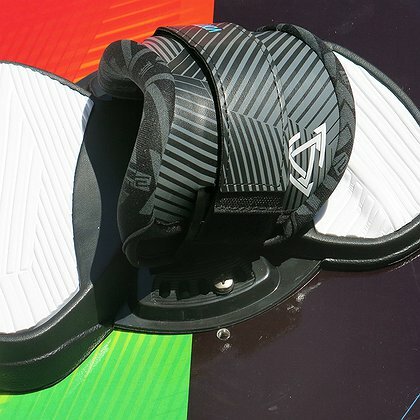 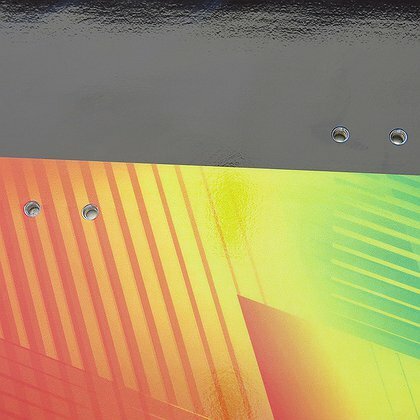 Advanced riders appreciate the loosen feel of the board, it's grip, pop and soft landings. 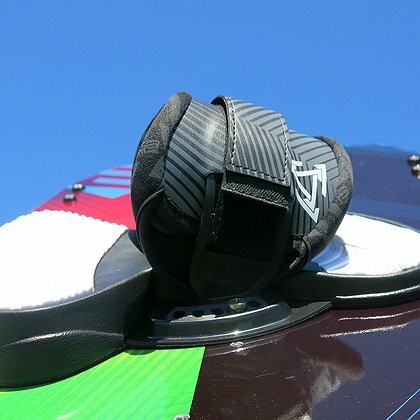 Beginner to advanced riders for all-round light wind freedom. 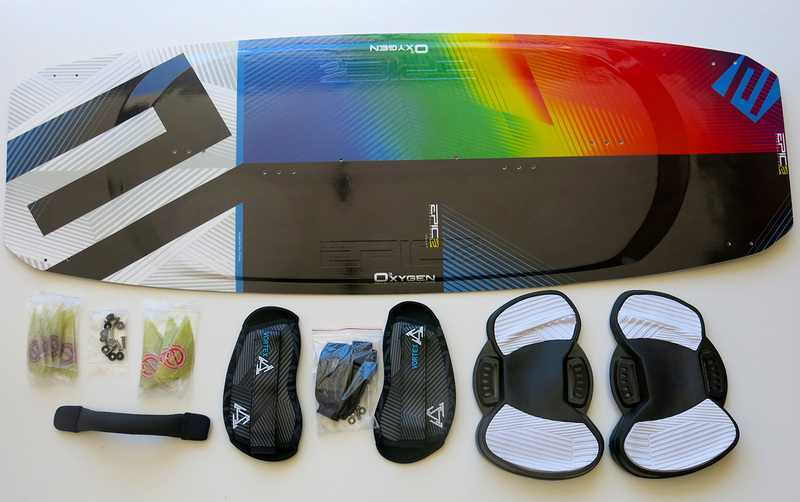 Feels like a smaller board. 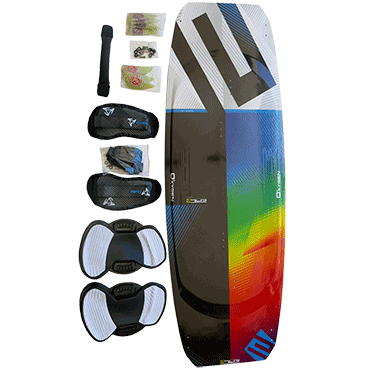 Ideal for school and instruction.